Texas farmers are leading the way in the United States’ cotton production this year. A recent forecast predicts 6.9 million acres will be planted in Texas alone. That’s an increase of about 22 percent over last year’s acreage, according to the U.S. Department of Agriculture’s National Agricultural Statistics Service (USDA NASS). Nationally, about 12 million acres are forecast, and 58 percent of that will be grown by Texas farmers from the Rio Grande Valley to the Panhandle. “The Rio Grande Valley is off to a good start. The Coastal Bend is off to a good start. We’ll be seeing cotton planted in Central Texas pretty quick, and then here in another month, we’re going to be planting on the High Plains,” Verett said. 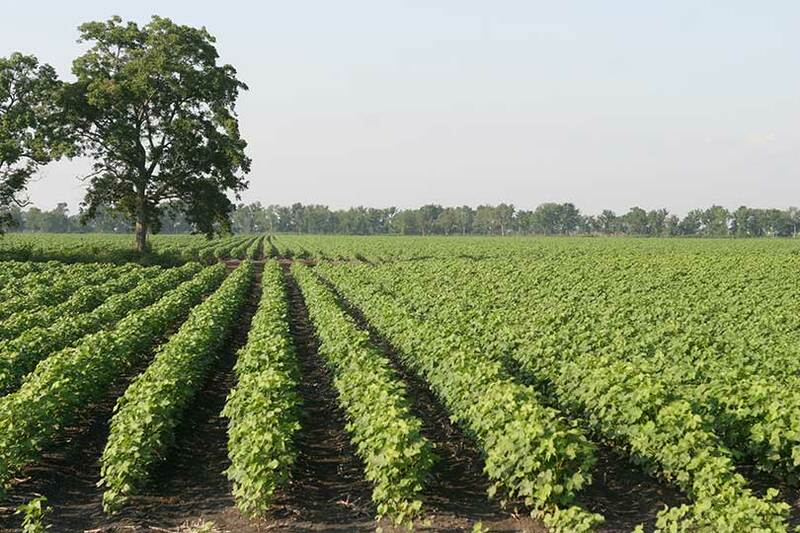 Higher cotton prices, decent soil moisture and a good quality crop last year all play a role in the forecast increase in cotton acreage, according to Verett. “When you look at prices since 2015, cotton is up about 13 percent. Corn is down 8.5 percent. Soybeans are down 5.5 percent, and wheat is down about 32 percent,” Verett said. If Texas is able to grow all of the acreage forecast by farmers, it could have an effect on the cotton market. In the meantime, all eyes will be on Texas. In addition to the weather, pests and unwanted plants could also impact farmers this year. Farmers on the High Plains and Rolling Plains have battled glyphosate-resistant pigweed for the past three to four years. The only way to make up the cost of the additional weed control is to have larger yields or an above-average crop. Enlist is designed for 2,4-D-resistant cotton. Extend is designed to help with dicamba resistance. Farmers who are using different technologies will have to be more mindful of what they’re using, as well as what neighbors are using throughout the cotton-growing season. “If you don’t have all of the same kind of technology, you have to be careful and really mindful of that and make sure you don’t get in the wrong field. You have to be concerned much more with drift and making sure what you spray on your farm stays on your farm,” Verett said. From a soil profile prospective, most cotton farmers have or will go into the planting season with good moisture. Although there’s plenty to be positive about this cotton-growing season, there are still a few worries, including China. Those stocks, at least until this point, have not been available to much of the outside market, according to Verett. And when China is using its own cotton, they don’t import as much from countries like the U.S. They will, however, still likely import some cotton to blend with their current supplies. “The biggest concern that we’ve got right now, and as it really always is for cotton, is overall demand and making sure that we maintain or increase the cotton share of the total fiber market in the U.S.,” Verett said. The popularity of synthetic fibers is taking its toll. “From a China perspective, that’s one of the biggest threats that we have is the significant amount of capacity they have to overproduce synthetic fibers and put those on the market below cost. That’s where our biggest competition is coming from—the synthetic fibers,” Verett said. The lack of a viable, working safety net for cotton farmers is also a concern. Organizations like Texas Farm Bureau, American Farm Bureau Federation, Plains Cotton Growers and the National Cotton Council urge Congress to find a place for cotton in the 2018 Farm Bill now. “We’re pulling out all the stops trying to do whatever we can to get cotton or cottonseed back in Title 1,” Verett said. U.S. Congressman Jodey Arrington has joined the fight for cotton. This week, he testified in a House Agriculture subcommittee hearing on the next farm bill. Despite the disappearance from Title 1 and global competition, the majority of cotton farmers hold out hope for a good 2017 crop.